Unity In Harlem is an abundant, radiating center of God’s love and light for peace, healing and inner truth for all. Practically speaking, it is a place where you can come and connect with your inner divine Spirit. Our Sunday afternoon services combine music, meditation and message to help you transform yourself through the renewing of your mind. Our Tuesday study groups provide an opportunity for further study and discussion on topics around how we all connect to divine Spirit. If you are unable to attend our services, you can still see and hear our message through our 90-second sermon series (video mini-sermons that are available weekly and archived at www.youtube.com/unityinharlem) or our meditations that can be heard at any time by dialing 605-562-3149, access code 360392#. These meditations are updated weekly, and during our Spiritual Fitness Months (April, June, September, November), new meditations are available daily. You can see and hear Carol on her YouTube series of 90-second sermons. You can also experience a guided meditation with Carol by dialing 605-562-3149, access code 360392#. Carol J. Hunt retired from a 30-year career in Gerontology and transitioned into her calling to ministry. 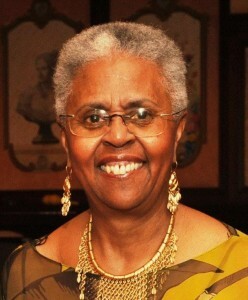 She was the former executive director of Jamaica Service Program for Older Adults (JSPOA) located in Jamaica Queens. JSPOA is a community based not-for-profit agency providing services to over 5,000 older adults each year through senior centers, home delivered meals, senior employment, crime victim assistance, social services, transportation, HIV/AIDS education and much more. She has a Master in Urban Planning from New School for Social Research with a specialty in Gerontological Administration. Carol Hunt completed her studies as a Licensed Unity Teacher in 1992 after teaching at Unity Center for Practical Christianity under the leadership of Eric Butterworth, starting in 1986. Her teaching expanded to a Study Group in Harlem meeting every Sunday from 2001 which was incorporated as the Harlem Center for Practical Christianity (Unity In Harlem). 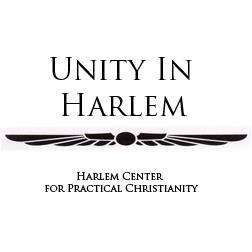 Unity In Harlem was launched as a ministry in 2012. Carol enrolled in Unity Worldwide Ministries Field Licensing Program in 2013; received her ministerial license in 2014 and was ordained in the spring of 2016.